Preowned 2017 Forest River Flagstaff Micro Lite 21FBRS. See this awesome Travel Trailer model at our awesome RV lot in Pensacola. Clean and cared for and ready for some new owners. 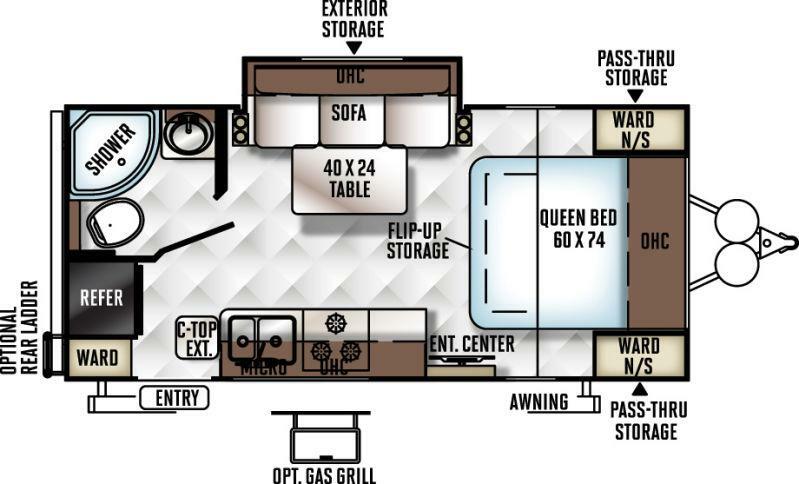 Spacious floorplan with 1 slide and sleeping accommodations for up to 4 guests. Great starter unit for a small group!